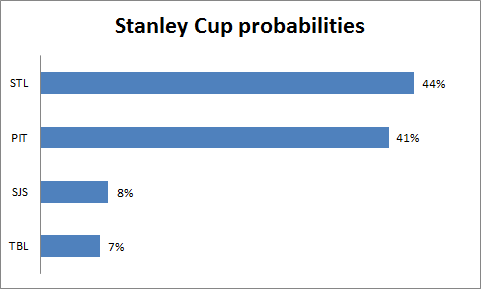 The model still has the Pens and Blues as favorites, and it's probably underestimating the Sharks. The Sharks are a very good team; they've just had a difficult path. They had to beat the Kings, and now they're up against the Blues. 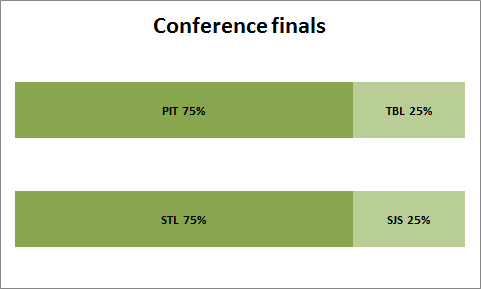 And if they get past the Blues, they may have to get past the Pens as well. Anyway, let's go Pens!